If you have active kids, you may want to put your emergency pediatric dentist on speed-dial, especially when your Brooklyn children’s emergency dentist offers same day appointments for the patients with pain. Whether your child has a tooth knocked out from a football game or a fall pushed a tooth up into his jaw while he was out riding his skateboard, the best dentist for kids offers a same day appointment for all emergency or urgent needs. When your child has a toothache, both of you want help as quickly as possible. A same day appointment for the patients with pain remains an important goal for your dentist who provides pediatric urgency care in Brooklyn. Not only does the best pediatric dentist work to schedule a same day appointment for all emergency or urgent needs, but you can call for emergencies that occur after hours. 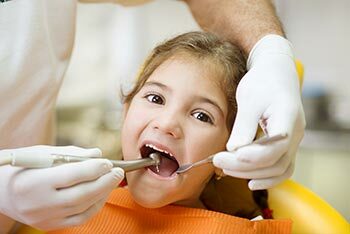 Because injuries or toothaches often don’t occur conveniently, during regular dentist’s office hours, your special needs pediatric dentist at Family Cosmetic & Implants Dentistry of Brooklyn provides a kid-friendly environment to soothe and alleviate your child’s pain. An emergency dentist for kids is a role that’s highly specialized and always in demand. Understanding what your emergency pediatric dentist does and how he helps your children makes a stressful situation more bearable. Call your pediatric dentist in Brooklyn to find out what precautions you need to take before bringing in your child for treatment. Some steps, like packing the injury with gauze, may be easy to remember, but others, like finding the broken piece of tooth and placing it in a glass of milk, may be new to you. Toothache or ear pain. This can occur for a number of reasons, including impacted food, referred or direct pain from a cavity or infection of the gums. Your emergency pediatric dentist quickly and efficiently examines your child’s tooth and determines the best course of action that might involve antibiotics or dental fillings. Tooth pushed into jaw due to trauma. Falling, getting hit with a bat, stick or racket or an unlucky elbow during an impromptu wrestling match can shove a tooth up into your child’s jaw. As long as any bleeding is controlled, ice packs and Tylenol help with any pain and swelling until your pediatric dentist in Brooklyn can examine the area. After x-rays, the emergency dentist for kids may advise pulling the tooth. Tooth knocked out. Rough and tumble play — and most contact sports — occasionally result in your child losing a tooth. Time is critical when a tooth comes out. Recovering the tooth, keeping it moist and making sure to avoid touching any root material gives your emergency pediatric dentist a better chance of reinserting and healing the natural tooth. If the tooth can’t be saved, your emergency pediatric dentist may discuss implant options. Tooth displacement. Just as a tooth can be pushed into the jaw or knocked out from an injury, a tooth can also be knocked crooked after a blow. Same day appointments for the patients with pain help assess the best method for saving a misaligned tooth. Your child may require hardware or braces to straighten the tooth. Root fracture. Your child’s tooth might fracture at the root due to a blow or a weakened condition from decay. Call for a same day appointment for all emergency or urgent needs. Your dentist always tries to save the tooth with a root canal or other methods. Accidents and trauma from sports, sibling play or other outdoor activities can result in severe injury to your children’s mouths. These injuries can cause severe pain and long-lasting consequences if not treated quickly and correctly. Go to your local emergency room in Brooklyn if your child experiences severe swelling of the face or gums, bleeding that can’t be controlled, or any sudden, painful blow to the head, face or jaw. Other injuries may need to be assessed first before your emergency dentist can help your child fix the issues in the mouth. Wearing mouthguards during sports and helping your child be aware of consequences from risky behaviors can help prevent many of the dental injuries you may face. Building a good relationship with your emergency pediatric dentist makes any injury less stressful for both you and your children. Your emergency pediatric dentist provides quick relief for your children’s pain and other symptoms. Knowing how you can help your child makes life’s accidents and pains quicker to heal and easier to manage. Do you have any questions about the Emergency Pediatric Dental Care in Brooklyn? For more information or to schedule an appointment with the best rated pediatric dentist in Brooklyn Igor Khabensky DDS of Family Cosmetic & Implants Dentistry of Brooklyn? Please contact our kids dentistry center for consultation with the kids dentist Igor Khabensky DDS.